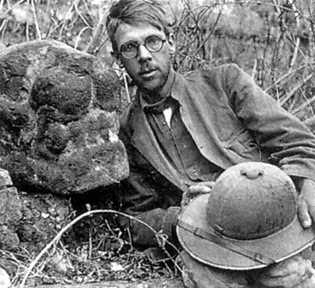 Was legendary Mayan archaeologist (and Flying Conquistadors character) Sylvanus Morley the real-life Indiana Jones? If you Google Morley’s name, you’ll find multiple references suggesting he was an inspiration – perhaps one of many – for everyone’s favorite idol-seeking adventurer. You’ll also come across this picture of a young Doctor Morley in the field, with his glasses and scruff, looking remarkably like a cleaned-up Doctor Jones from the college scenes in Raiders of the Lost Ark. NOT Sylvanus Morley . . . or is it? So it’s tempting, at least on first glance, to say Doctor Morley might be Doctor Jones. 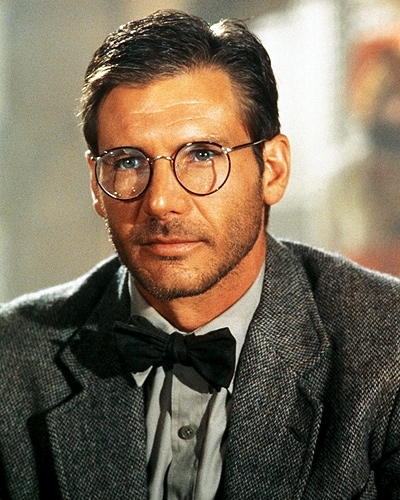 But if you dig deeper, you’ll find the real-life temple-finding archaeologist had little else in common with his rumored Hollywood counterpart. Sylvanus Morley hated the jungle, hated the heat and humidity, and despised the bugs. Over the decades he had numerous bouts with malaria and other jungle ailments. He was a small man, shorter and less athletic than most of his counterparts, and not the type that made a habit of swinging from vines or outrunning boulders. He didn’t wear a leather jacket and a fedora, preferring suits and ties (despite the heat) and tall boots that only accentuated his slight size. To protect himself from the relentless heat, he almost always wore a pith helmet or a sombrero. Morley atop El Castillo at Chichen Itza, prior to the massive reconstruction project. Note: We have reached out to the Spielberg and Lucas camps for comment. While we await an answer, here’s a list of possible Indy inspirations that places Morley at #3. There is, of course, no debate about Morley’s place in the history of American archaeology. His contributions to our understanding of the Mayan culture and their language continue to influence archaeologists today. But his legacy is most noticeable in the magnificent Mayan sites he helped uncover and restore. It was Morley who persuaded the Carnegie Institution to engage in large-scale work on Mayan sites, at a time when much of the archaeological community was focused on Egypt (this was before Tut’s tomb was discovered) and the Old World. 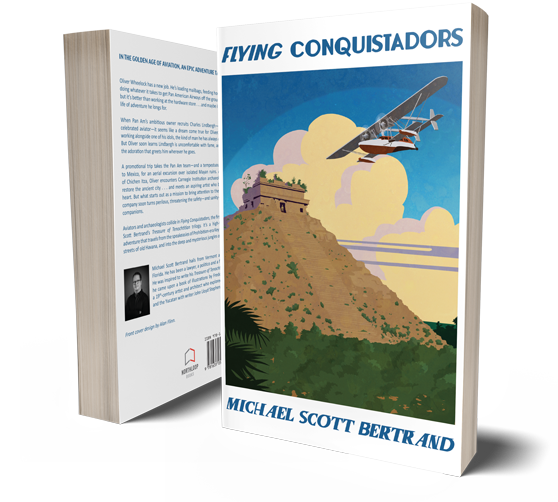 Morley’s involvement with Chichen Itza is a story unto itself. Early in his career (1912), he made a bold proposal to the Carnegie Institution to excavate and restore much of the ancient city. 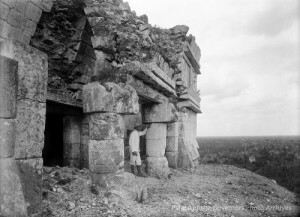 Morley believed fervently that by showing people the majesty of the Mayan civilization would lead to greater interest in (and greater funding for) excavation and research projects. Unrest in Mexico led to his ambitious project being delayed until the early 1920’s, when he would lead a team of professional archaeologists, researchers and artists in a massive project to uncover the city. (The Hacienda Chichen – headquarters for Morley and many other researchers, and now a luxury hotel – has a great list on their website of all the noted archeologists who helped dig out Chichen Itza). I’ll follow up with another post on Doctor Morley soon, where I’ll look at the Carnegie Institution’s ambitious project to rebuild Chichen Itza. Thanks for reading! I do not think I have ever seen a picture of the top of Chichen Itza like this. Do you have names of the other people in the photo? In the El Castillo picture, the man looking out from the temple is indeed Sylvanus Morley. He was known for always wearing big hats and tall boots! As for the group picture I can only make an educated guess . 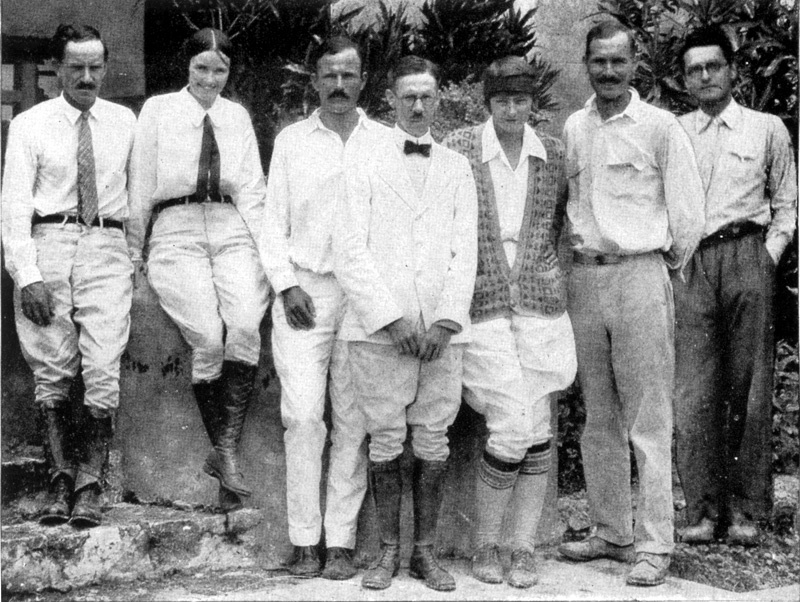 . . and I believe we are looking at (from left to right) archaeologist Earl Morris, then a woman I can’t identity, next to her archaeologist Albert Kidder, Sylvanus Morley, journalist Emma Reh, archaeologist Oliver Ricketson, and finally the French/American painter Jean Charlot. Again, that’s just my best guess … there’s another photo taken this same day that I’ll include in an upcoming post.